President and CEO Lou-Ellen Barkan and I send our regrets for this evening, prior commitments prevent us from being with you. Every week unsolicited screen plays, documentary ideas, music videos, songs, and artwork all related to the experience of caring for a relative with AD cross our desks. It is rare to get something as well written and on target as Taking Leave which portrays a truthful and balanced image of one critical moment in time at one stage of the illness for one person with dementia Mr. Jackson really "gets it". Cordelia's empathic approach to her father exemplifies acceptance and how to "be with" a person with dementia. With 5.3 million Americans currently diagnosed with Alzheimer's and a projection of 11 - 16 million by mid-century, works like "Taking Leave" can play an important part in raising awareness by realistically portraying the struggles of living with a diagnosis of Alzheimer's and caring for the individual. We have a long way to go to making Alzheimer's a National Priority; works like Taking Leave can help engage the public in critical dialogue about a disease that threatens to bankrupt our health care system and has the potential to be the public health crisis of the 21rst Century. "...a multi-layered play which combines a sunny outlook on the perils of Alzheimer's with the poignant struggles of a family as it contends with a parent's loss of integrity. The play is engrossing, vivid in its dramatization of illness as it is in its awareness of how a family can self-destruct ...Jackson's writing is always assured and strong in theatrical values"
"...a rich new dramatic comedy...Directed with a subtle, expert touch by Jackson, Taking Leave provokes a great deal of compassionate laughter, but it also manages to be heartbreaking as Eliot rages in his study as surely as Lear did in his storm"
"This witty play is no tragedy, nor is it merely a maudlin disease-of-the-week exercise. Without trivializing a difficult problem, the play forcefully reminds the viewer of the professor's personhood." "The whole effect is one of gentleness rather than rage at an implacable enemy. 'Heartwarming' is the operative word...an exceptionally fine production." 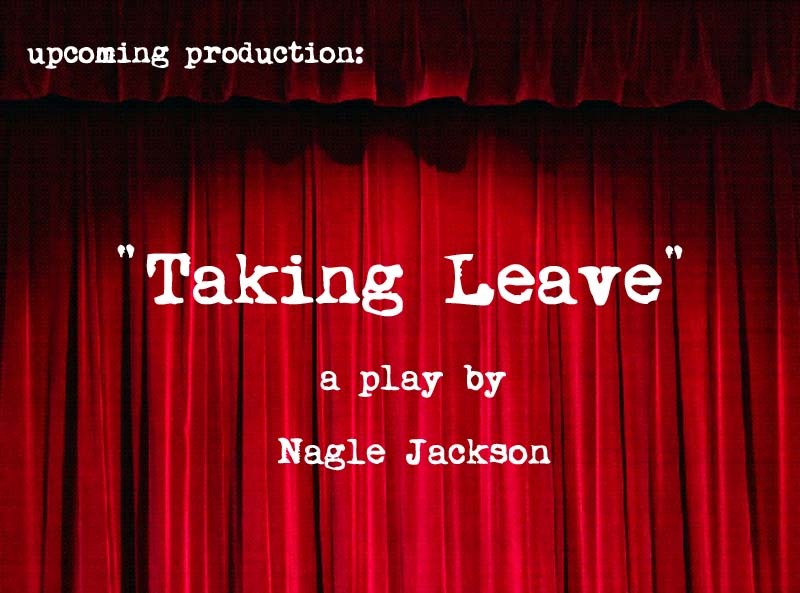 "Another world premiere of a new play...one that hopefully will be seen in Anchorage someday, is Nagle Jackson's Taking Leave, a comedy about a family dealing with Alzheimer's that's loosely patterned on Shakespeare's 'King Lear'. While the subject matter seems far from comedic, Tony Church's portrayal of the faltering college professor turns the plot into a celebration of life." Frank Zuback Productions, Inc. 1501 Broadway, 12th Floor | New York, NY 10036 | 212.265.6700 | Fax: 212.320.0687 © 2016 Frank Zuback Productions, Inc.